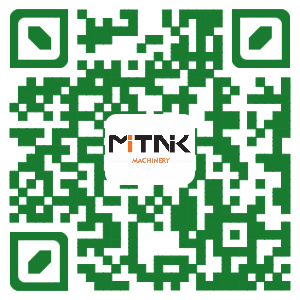 Vdeo - Mitnik Constructin Machine Company Co., Ltd.
MITNIK intend to provide one-stop purchasing platform which assures proper interface of construction equipment. Adhere to the "independent innovation" development purposes, the company annual investment accounted for more than 10% of the total sales in order to constantly improve optimization product research and development, design, and production details to ensure the plan formulation and implementation of accurate, reliable and perfect. MITNIK MT3500 And MT2000 Self-loading Mobile Concrete Mixing Plant Machine has a sharp rise in its product performance, replace the high sensitivity weighing sensor system, weighing system more accurate, more stable.To maintain the cleanness of hydraulic line, all the high pressure oil pipe replacement for high-definition hydraulic line, reduce the risk of pipeline jam, and hydraulic power is more strong, replace the high sensitive electronic sensors, make the vehicle operation more easy, more stable performance.Cab windscreen replacement for high-definition automobile specialty glass, make work long time the driver’s eyes more comfortable. MITNIK Bucket type concrete batching plant is composed by batcher dosing, mixing and electric control parts to finish fully set automatic concrete mixing equipment. It is suitable for the small and medium concrete projects construction, casting factory and commodity concrete production factory. Concrete Mixing Plant uses the properties of the advanced automation control system, simulation technology is applied in concrete field, intelligent control, automatic control and manual control in one, can real-time observation and statistics of the mixing station. LB1000/LB2000/LB2500/LB300/LB4000 intermittent asphalt mixing plant mainly used for asphalt highway, asphalt graded roads, asphalt municipal roads, airports, sea ports and other asphalt construction needs. Our factory the production of asphalt mixing equipment is mainly composed of batching system, drying system, burning system, hot aggregate hoisting, vibrating screen, hot materials storage bin, weighing and mixing system, asphalt supply system, powder feeding system, dust collecting system, finished product bin and control system parts. Concrete Batching Plant is composed of material weighing system, mixing system, electrical control system, powder material storage and transportation system composed of five major systems of automatic concrete mixing equipment, with high precision and high efficiency of computer control system, also equipped with a separate manual control, with the ratio of storage, automatic compensation gap, and with the printing system.